Essence Communications, the leading media, technology, and commerce company serving Black women announced a record-breaking economic impact of $280 million for its 2018 ESSENCE Festival® presented by Coca-Cola. Growth in Festival attendance, which reached more than 510,000, and a boost in tourism spending within the host City and State of New Orleans, Louisiana, garnered the highest fiscal input in the event’s 24-year history. Nearing 130,000 attendees per day, the ESSENCE Festival is now also the nation’s largest entertainment and cultural event based on average daily attendance, leading events including Coachella, SXSW, New Orleans Jazz and Made in America festivals. With the 2018 summer Festival season wrapped, the 4-day Essence Festival has emerged as the leader in size and economic significance among the country’s largest live events and a top destination for tourism during Fourth of July weekend. Through attendee surveys and analysis based on event production, lodging, food & beverage, retail, gaming and transportation spend, the annual economic figure represents a substantial benefit to Louisiana and New Orleans seasonal tourism and shines a spotlight that furthers the legacy of one the nation’s most culturally rich and diverse destinations. “This year’s Essence Festival was a great success in terms of attendance and national exposure for New Orleans and Louisiana. I believe many of the Essence Festival attendees will be returning to our state for years to come,” said Louisiana Lieutenant Governor Billy Nungesser. In addition to the attendance and economic impact, the scale of talent, programming and digital engagement at the ESSENCE Festival is unmatched. 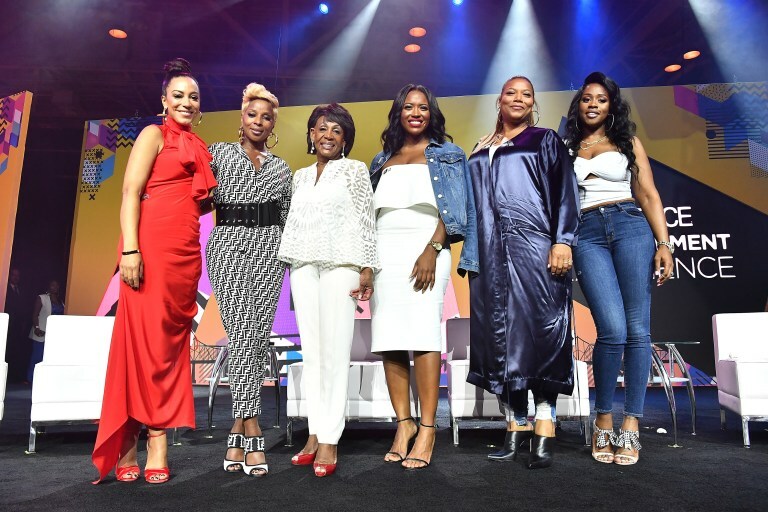 A 2018 Essence Festival by-the-numbers analysis reveals further record-breaking engagement including 100+ performing artists; 200+ influencers, leaders, creators and celebrities; 150+ Marketplace entrepreneurs; and 200+ hours of live content throughout the weekend that generated 5 billion+ media and PR impressions and reached trending status on social media, featuring 103+ million posts, shares and likes and resulting in 14+ billion social media impressions. The 2018 ESSENCE Festival was executive produced by Essence Festivals LLC, a division of Essence Communications Inc. (ECI), and produced by Solomon Group. GeChar was the executive producer of the 2018 ESSENCE Empowerment Experience. Sponsors of the 2018 ESSENCE Festival included presenting sponsor Coca-Cola and major sponsors AT&T, Ford, McDonald’s, State Farm and Walmart. Essence Communications is the number one media, technology and commerce company dedicated to Black women and inspires a global audience of more than 17 million through diverse storytelling and immersive original content. With a multi-platform presence in publishing, experiential and online, ESSENCE encompasses its signature magazine; digital, video and social platforms; television specials; books; as well as live events, including Black Women in Music, Black Women in Hollywood, Street Style and the ESSENCE Festival. Essence Communications is owned by Essence Ventures, an independent African-American owned company focused on merging content, community, and commerce to meet the evolving cultural and lifestyle needs of people of color.